The Young and the Restless spoilers tease that recent rumors about Adam Newman’s (most recently played by Justin Hartley) begin to play out in 2018. 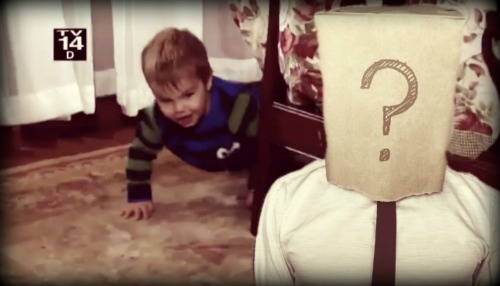 Note that CDL made the first clear connection from a recent SOD blind item to Adam Newman’s return to Y&R. Christian’s (Jude and Ozzy McGuigen) paternity reveal initially allows Victor (Eric Braeden) to grab legal custody of his grandson. But then Adam returns from the dead and reclaims his son. It would be just like Victor to do what was referenced above. He’s said he wants Nick (Joshua Morrow) to feel pain. What better way to inflict it then by revealing that Nick isn’t Christian’s dad. If the Moustache proceeds as assumed he would gain a three-fold win. Nick would be crushed. Along with that his relationship with Chelsea (Melissa Claire Egan) would almost certainly be over, unless Victor opted to protect his daughter-in-law’s complicity. Finally, Victor would assume guardianship rights and have Christian live with him and grandma Nikki (Melody Thomas Scott) at the Ranch. 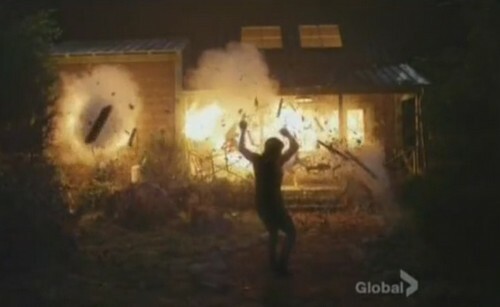 Okay, so all of the above assumes that Adam lived through the cabin explosion. He’s only been assumed dead by the Genoa City Police Department, his loved ones and friends. But all Y&R purists know in their hearts that a great GC character like Adam never died. No one would have survived being inside a structure that was blown up. This mean the drug Chloe (Elizabeth Hendrickson) shot into Adam with the dart gun wasn’t as strong as she believed. Therefore, he didn’t pass out, broke his handcuff away from the bed and escaped from the cabin just in time. Chloe had run off, while Chelsea was approaching the front door, unaware of what was about to happen. Nick and Connor (Gunner and Ryder Gadbois) sat in the car waiting for them as the explosion happened. Considering the visible angles, Chloe and Adam exited the cabin from different directions, but also ones that didn’t allow either person to be seen. Chloe returned to the penthouse, via the secret passage way Adam constructed when he was previously presumed dead. Adam was almost certainly concussed, which employs sports’ terminology for a reason. He lost his memory, which would then explain the gap between September 2016 and his 2018 return. The Adam everyone knows would never stay away from his family. However, if he didn’t know who he was and has been living nearby, then his absence from GC is digestible. The memories slowly return through glimpses, but the audience isn’t initially shown who is recovering. If a new actor has been cast, then reveal will introduce the fourth adult Adam. The recast could also be a rehire. Hartley is a star on This Is Us, so he’s unlikely to return even for a short stint. Chris Engen played the first adult Adam, but also seems unlikely to be back. He was a good actor, but didn’t play the character during an overly dynamic period in Y&R history. And then there’s Michael Muhney, who’s desired to be rehired since the summer of 2014 and was interviewed then. That meant he was and is eligible for rehire, regardless of whatever Fake News anonymous know-nothings propagated. My, oh my, oh my. 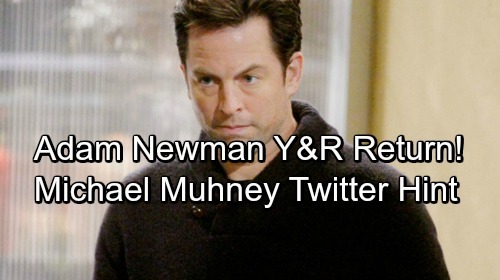 Just imagine the coming buzz if Muhney has already been rehired. It would be a tightly held secret. Possibly that’s why he hasn’t interacted with his fans on social media since November 2017? That’s very unlike this smart actor, unless he’s done so for a reason.